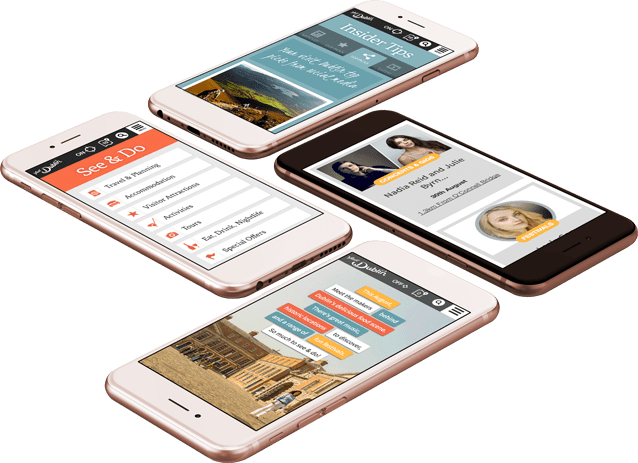 While we provide digital and design work to businesses and organisations in all industries, we have created quite a lot of websites for businesses in the tourism industry over the years. Consequently, we know quite a lot about what works and what doesn’t in this sector. We decided to put some tips together in this blog post to help you work towards the best tourism website design for your requirements. We have covered a broad spectrum of the tourism industry in our work to date. We’ve created visitor websites on behalf of official tourism bodies for the Wild Atlantic Way, Visit Blackpool and Visit Dublin. 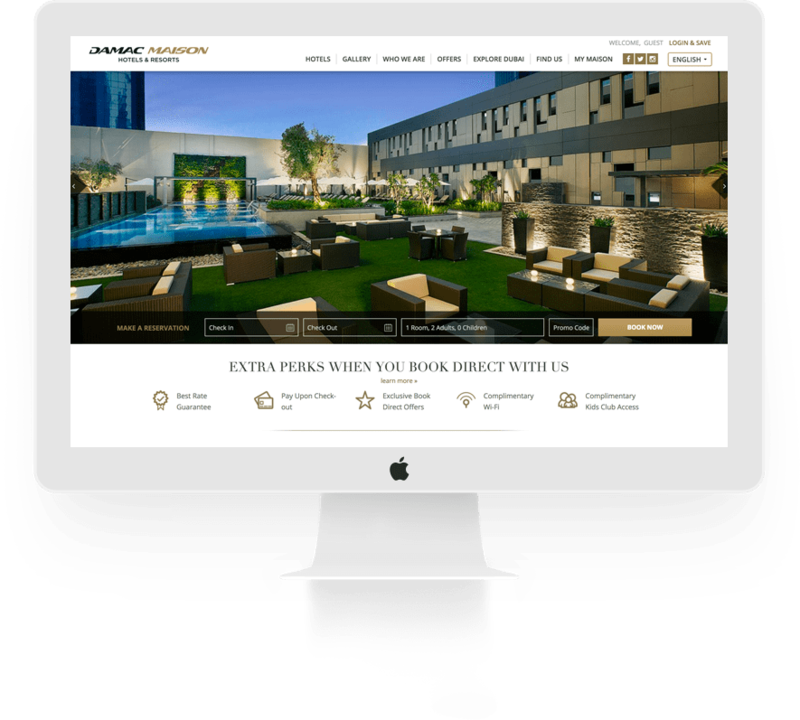 We’ve also worked on an accommodation booking portal, in the form of B&B Ireland, and we’ve created a website for luxury hotel chain DAMAC Maison. The route to the best tourism website design starts not with design itself, but with research. You need to dig into your website analytics to find out how and why people are currently accessing your website. We would strongly recommend user experience workshops as a way of taking your research to the next level. Ideally this would involve ascertaining the needs and expectations of your customers and your stakeholders. While you might think you already have a clear idea of what these are, workshops add a degree of certainty (and often throw up a few surprises). No matter what its purpose, a tourism website is usually seeking to appeal to a broad audience and often has a wealth of information to share with that audience. Finding the best website design for your requirements means picking your battles by learning how to prioritise all that information. Your customers need to be able to easily accomplish the goal that led them to your website in the first place. For all the inevitable noise from stakeholders pushing their pet content or projects, focusing on the customers’ goals is the way towards an effective tourism website. Tourism websites often include journey planning as a feature. That lends itself neatly as a metaphor for the customer journey on the website itself. Having conducted UX research and established priorities, you need a design that takes your customer on a logical journey towards the action you want them to take. That might be planning a journey, booking a room or sharing a piece of content. Whatever the overarching aim of your website, the design needs to be focused on ensuring that aim is achieved. You wouldn’t drop someone at a tourist destination with no information about what they should do next. By the same token, you need to carefully signpost them to the important parts of your website. All the information collected so far should allow for the creation of wireframes or rough design outlines. Our recommendation is to go back to a UX workshop with the proposed designs to ensure they work for your customers. It is easy to become blinkered to the original vision for the site by an eye-catching design, so it is worth double-checking that it ticks all the boxes for user experience and the customer journey. The very nature of a tourism website means representing an asset you believe people will want to see. For that reason, photography is a key component of all the best tourism website design we’ve produced and seen. 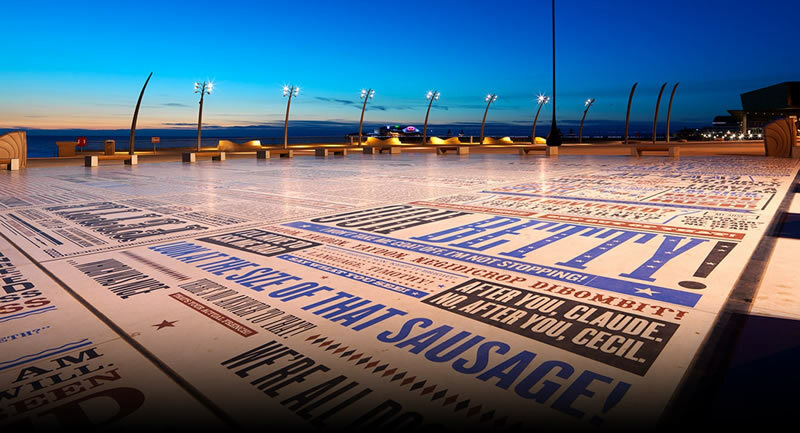 It is not an overstatement to say that imagery will make or break a tourism website. Invest in high-quality photography that shows your accommodation, attraction or location in its very best light. The investment will pay for itself. Any holiday or trip is about the before, during and after, so a good tourism website should complement this. The before is about the anticipation and preparation, so your website should allow for easy planning of what the trip will entail. 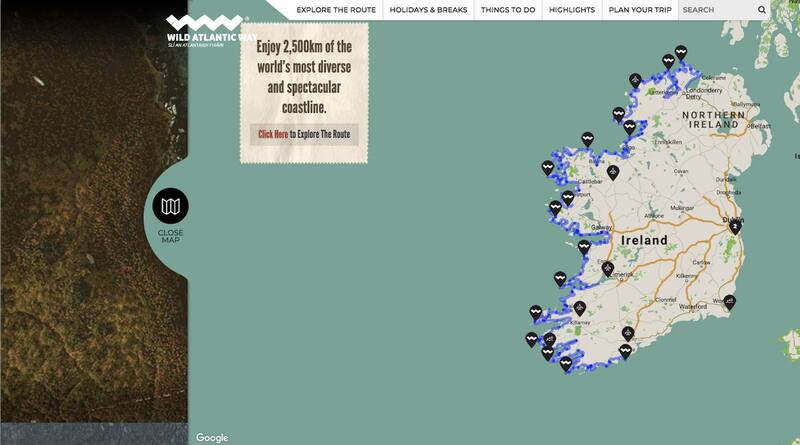 Our Wild Atlantic Way and Visit Dublin websites both include journey planners that allow users to ‘pin’ places of interest to personalised maps. During the visit might involve checking information, referring to a pinned map or some last-minute planning. Your website needs to cater for these requirements, and accept that most of it will be done on mobile devices. Using location services to allow people to find places of interest near them at any given time is another useful feature. After the trip is and always has been about sharing your stories. Ensure your tourism website gives people the platform to share photos and accounts of their visit. This could be directly on the site or via social media. 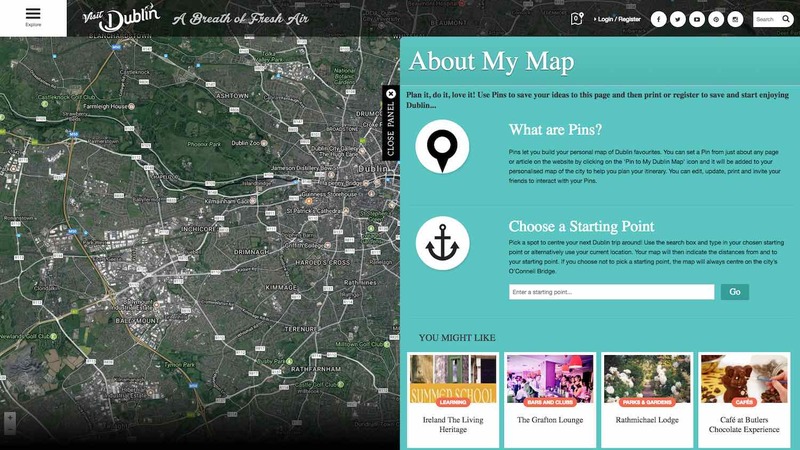 We’ve added integrated social media and hashtag streaming to some of our tourism website to encourage storytelling. Many visitors also use these features during their trip. We hope you found our best tourism website design tips useful. If so, feel free to share them on social media using the buttons below. If you would like a chat about your tourism website, please get in touch.